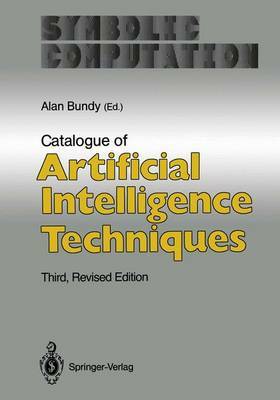 The purpose of this catalogue is to promote interaction between members of the AI techniques, by acting as a pointer to the literature. Thus the AI community will have access to a common, extensional definition of the field, which will promote a common terminology and act as a clearing house for new ideas and algorithms. As well as this decriptive role, the catalogue also has a prescriptive purpose to assist in the maturation of the field by identifying techniques and clarifying its terminology.